Will Innovation be Responsible for Destroying Jobs and Creating Mass Technological Unemployment? 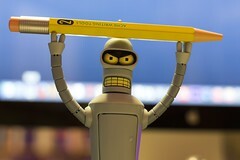 Human beings are unique in their ability to employ technology to help them accomplish nearly every task. From fire for cooking, to utensils for eating, to farm equipment for harvesting that sustenance in the first place, humans owe their success and numbers to technological advancements that have made living “easier”. Few times in recent history have technological advancements been so disruptive that they’ve fundamentally changed the societies that they’ve been introduced to, but automation is one technology that has sparked widespread discussion on the topic. While some see the technology as a catalyst for good, imbued with the ability to change society for the better and positively navigable in regards to its implementation, others fear the threat of technological unemployment will render human beings obsolete. The term “technological unemployment” was coined by English economist Lord Keynes in the 1930s, though the discussion of machine labor replacing human labor has been going on since before the time of Aristotle. As unemployment was much more rare throughout most of the rest of human history (if you didn’t work, you couldn’t eat), machines replacing human labor have generally been met with distrust as well as pessimism. 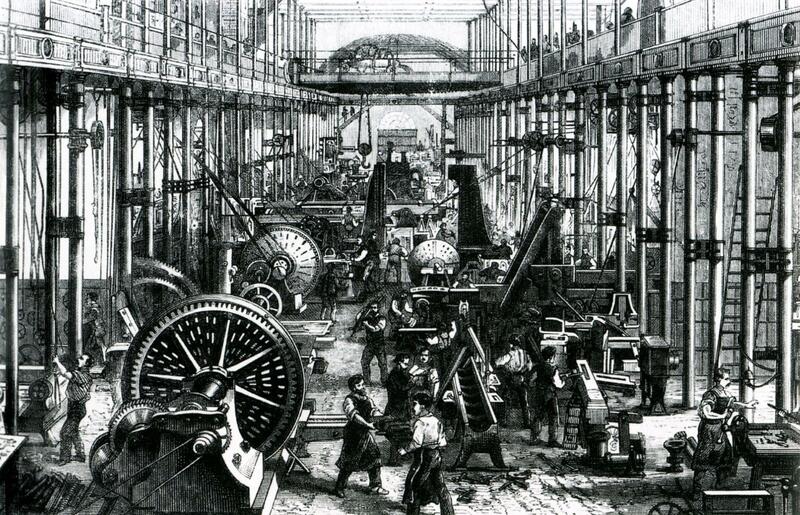 The Industrial Revolution introduced technologies across all industries that fundamentally changed the world. Innovations such as the stocking frame, spinning frame, and mechanical loom, for example, threatened to replace skilled weavers and textiles workers with the low-skill, low-wage workers that operated them. On top of that, these workers’ ability to produce output at a previously unheard of rate would supposedly kill all demand in the market and make it impossible for anybody to compete. The most famous opposition, perhaps, came from the Luddites, who have gone down in history as the prime example of how-not-to-act in the face of innovation. Automation does indeed substitute for labor—as it is typically intended to do. However, automation also complements labor, raises output in ways that leads to higher demand for labor, and interacts with adjustments in labor supply. Journalists and even expert commentators tend to overstate the extent of machine substitution for human labor and ignore the strong complementarities between automation and labor that increase productivity, raise earnings, and augment demand for labor. What Autor is saying is that when certain aspects of work can be automated, especially rote tasks that require little to no skill or mental faculty, the quality and productivity of workers will rise. Substituting these aspects of work means that machines and computers can compliment the average worker’s skill, allowing them to focus on the most important aspects of the job that need their attention. So on the one hand, you have the pessimistic view that many have combatted with the Luddite fallacy and empirical evidence, and on the other, the more widely prevalent optimistic view supported by complementarity. While many support the optimistic view, pessimists are arguing that this time around, rapid technological proliferation and the rise of A.I. in automation are steering our civilization into uncharted territory. When we look at the benefits of modern automation, there’s no doubt that the average citizen is for it. At the consumer level, self-driving cars are projected to save 300,000 lives over a 10 year period. As far as safety on the jobsite, automation wouldn’t be a bad idea either–logging, for example, killed 78 people in 2011 alone, and has one of the highest rates of injury and death of any blue-collar occupation. And not only is it safer, automation is more efficient. If you look at the skills gap as an indicator, which is still reported to be a problem in 2016, you’ll see that are more openings for skilled work than there are skilled workers. If automation can either supplement aspects of that work to make it more accessible to the masses, as loom and frame technologies did for the textile industries, or fill those positions outright with “automated workers”, industries would no longer have to worry about whether or not they could fill positions. The pessimists, however, worry that automation is becoming so advanced that it will replace all work outright. The infamous video by CPG Grey, “Humans Need Not Apply”, has been stoking the worry of doomsayers everywhere as it’s made its rounds on the Internet over the last couple of years. The pessimistic view of things is that automation and A.I. technology, based on models informed by Moore’s law, as well as the accelerated rate of development surrounding devices connected to the Internet of Things (IoT), is moving so fast that we won’t be able to respond. Before long, they argue, A.I. and automation will be powerful enough to replace the human aspect in every industry, leading to mass technological employment across the board. Here’s the thing–disruption is going to happen. Just like smashing printing presses to pieces didn’t stop the march of automated printing, fears of mass technological unemployment aren’t going to stop automation technology from taking the world by storm. While many futurists and economists generally believe that humans overestimate the power of computers and automated function… well, what if they aren’t? The Decline of Scarcity blog offers up multiple responses to the challenge of technological unemployment, including a shift toward a resource-based economy or the adoption of unconditional basic income. There is obviously no way to say this or that is the correct answer, and the truth is that we as a species won’t be able to cross that bridge until we come to it. So in the end, it all comes down to whether or not you take the optimistic or the pessimistic approach to things. And while we can prepare for innovation and change all we want, we have to realize that until we can see into the future, the only thing humans truly can do is respond optimistically when the time comes.